But that's beside the point. It's really adventure time! BOOM! 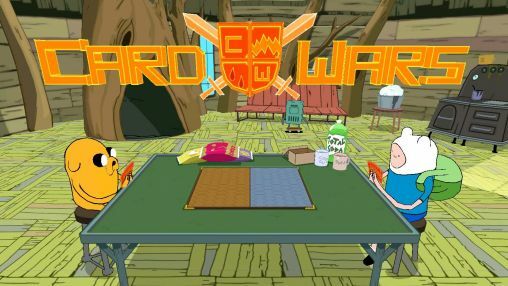 Studios, Cryptozoic Entertainment, and Cartoon Network are forming a Voltron-esque super-robot of awesomeness to bring all you Adventure Time Card Wars players a special promotional card for both the physical and digital versions of the game. It's all pretty simple. When it comes out, just go pick yourself up a copy of the Adventure Time with Fionna & Cake: Card Wars #01 comic book when it comes out. Inside the comic will be an exclusive "Sundae School" card for the physical version of the card game. There will also be a code you can use to download the "Music Mallard" card to use in the digital game. Head to your local comic book shop (which often doubles as your LGS, in my experience) and make sure they order you a copy of the comic.